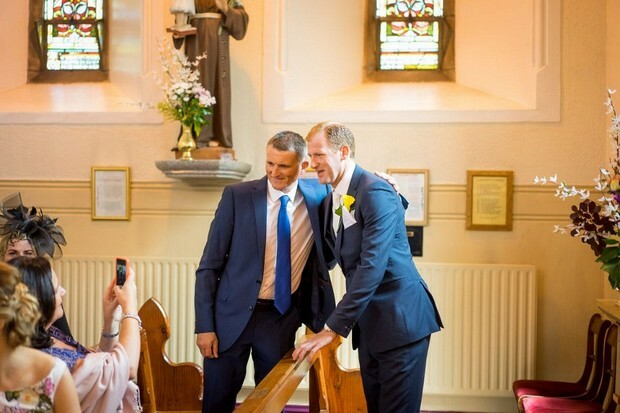 We met… grew up in the same estate, became friends from the age of 4 in school… and then eventually childhood sweethearts!! 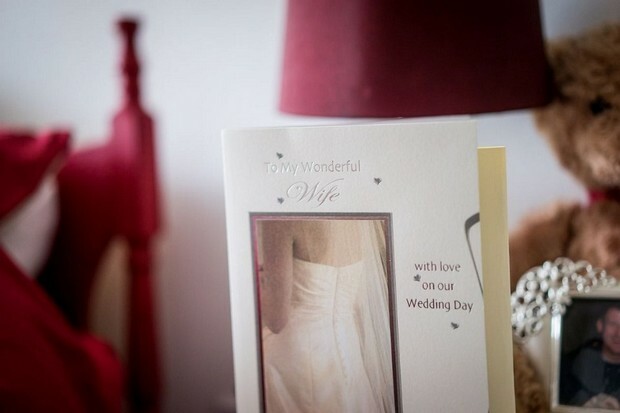 Our proposal… Christmas Day 2013 – after the excitement of wonderful Xmas presents opening with our two kids, I was ecstatic to find my stunning engagement ring sitting in my bran flakes for breakfast!! 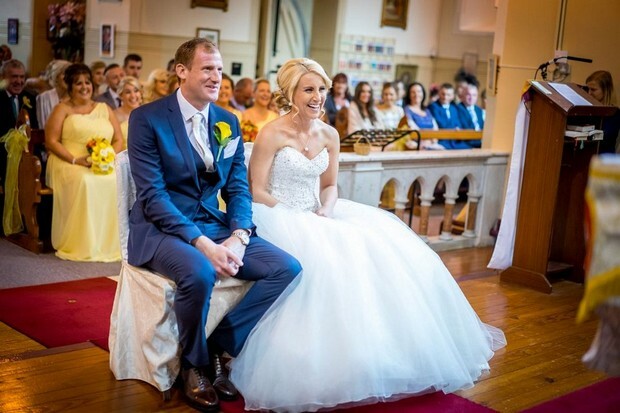 My dress… was by Morilee and had a sweetheart neckline, Swarovski bodice and tulle skirt. 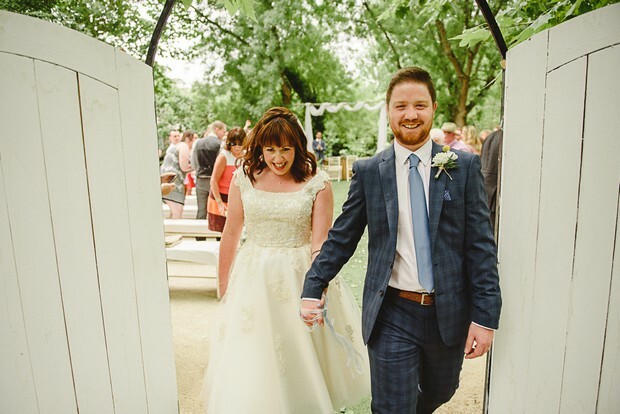 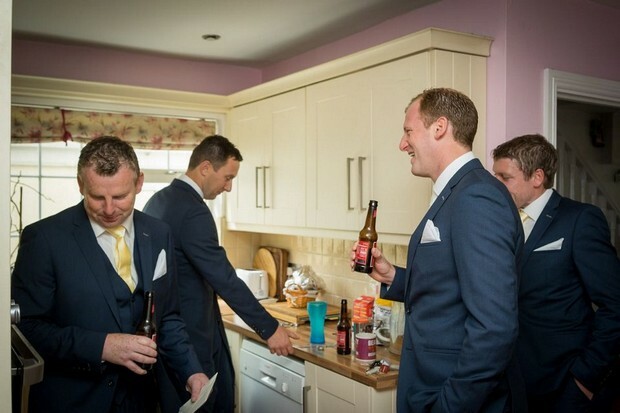 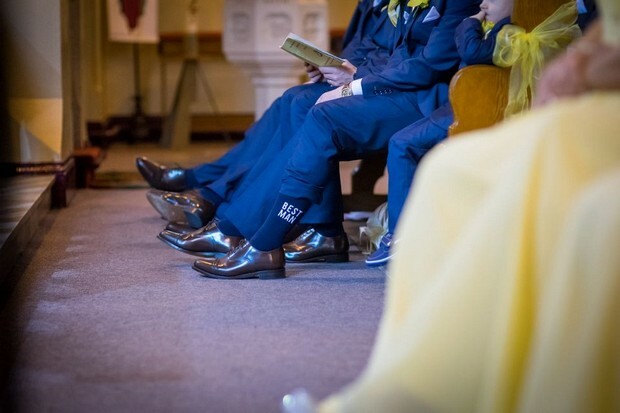 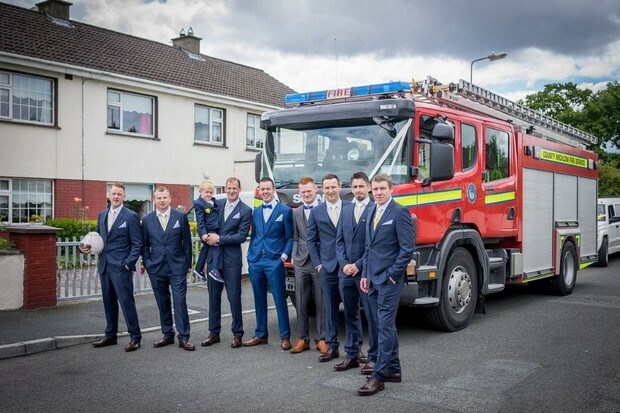 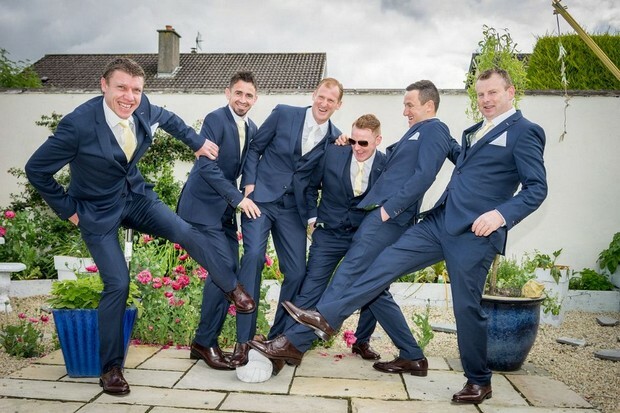 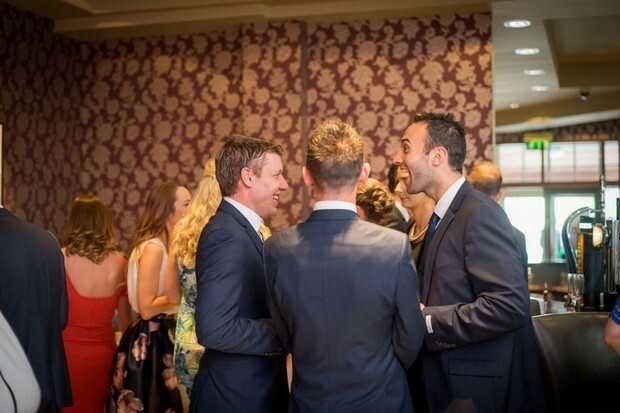 What our bridal party wore… The groomsmen wore navy 3 piece suits. 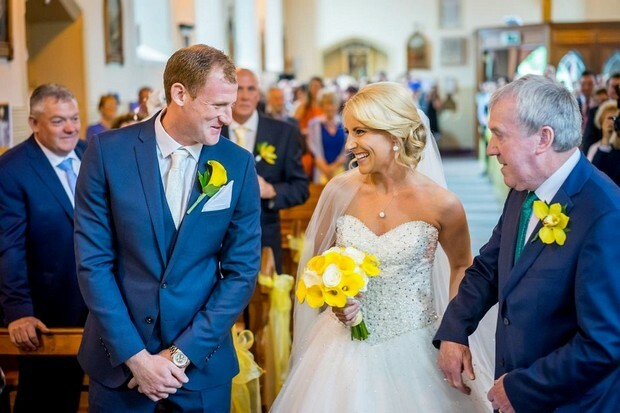 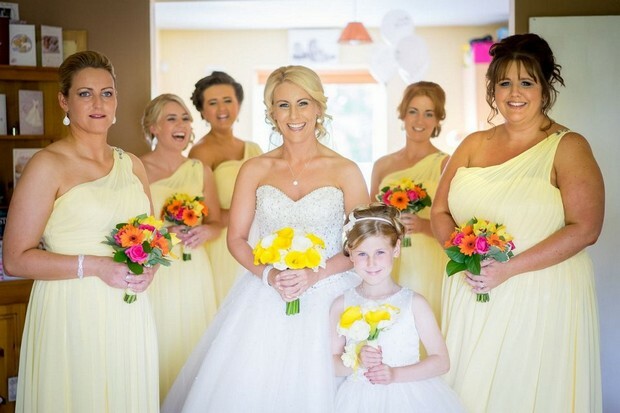 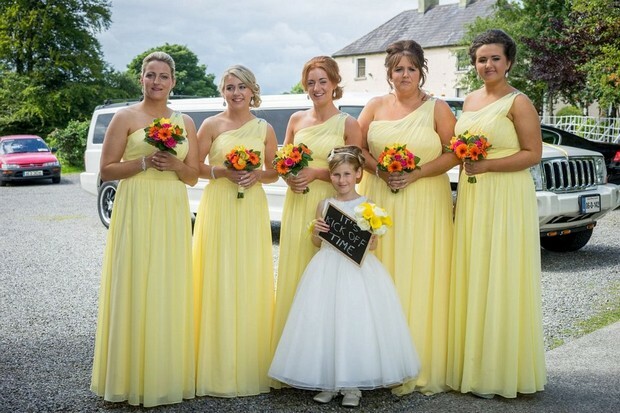 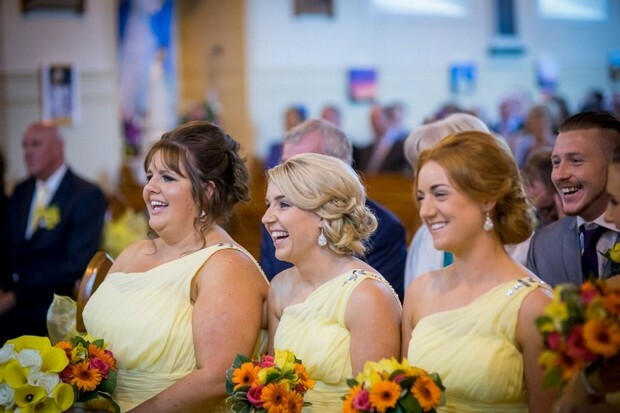 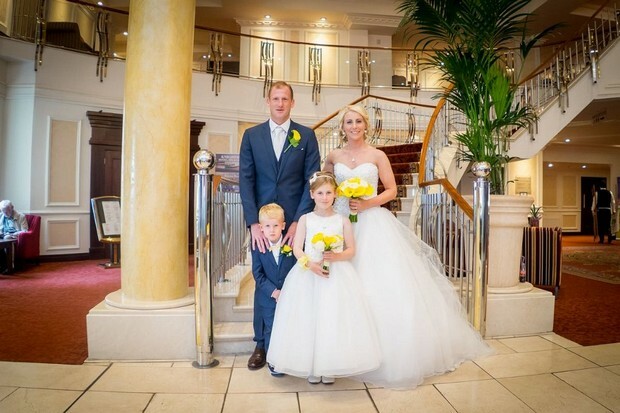 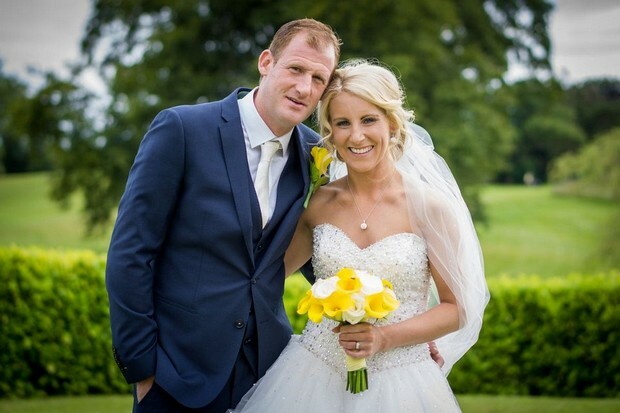 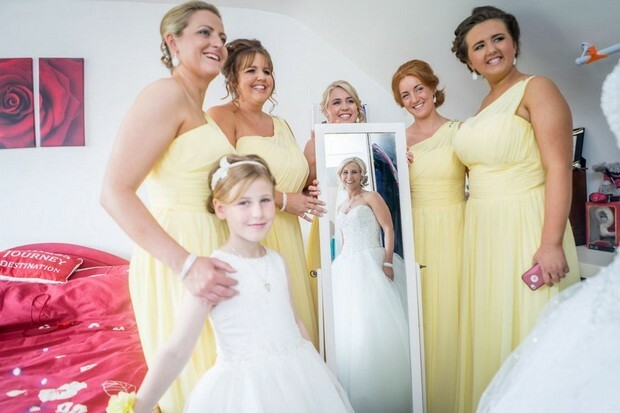 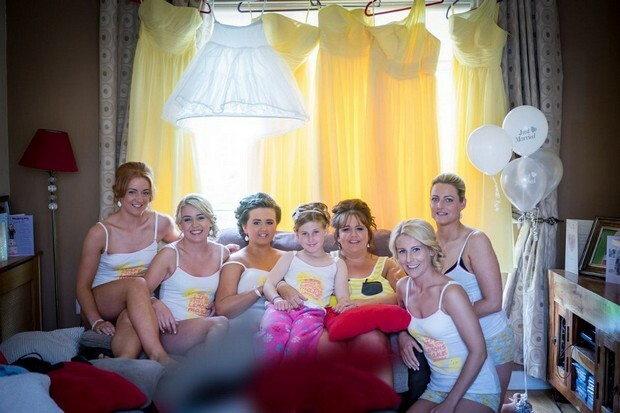 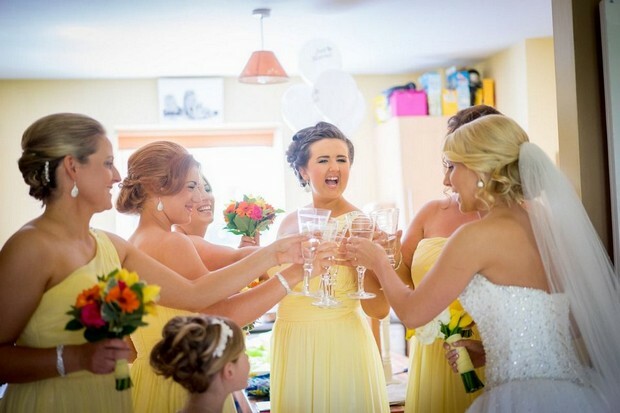 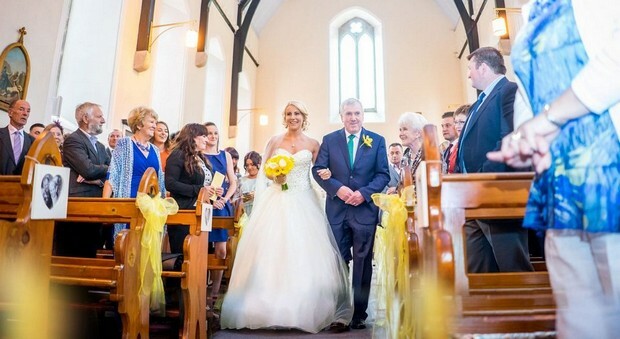 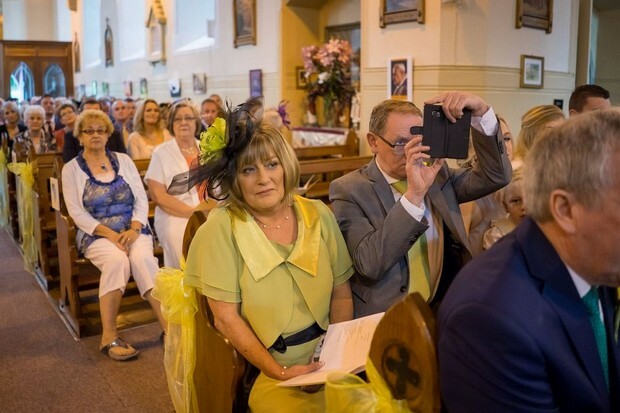 The bridesmaids wore Morilee one shoulder chiffon full length dresses in a gorgeous daffodil shade. 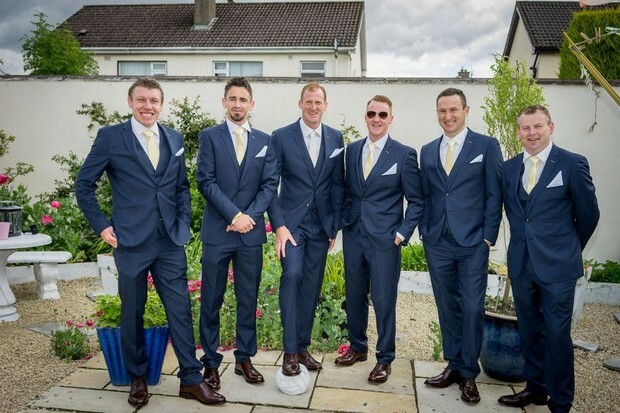 His suit… all suits were from Best Menswear. 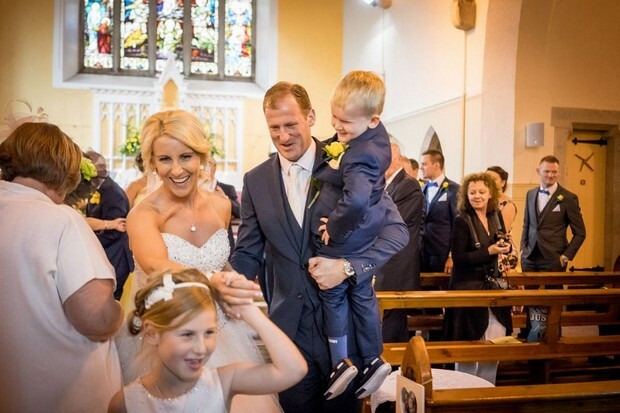 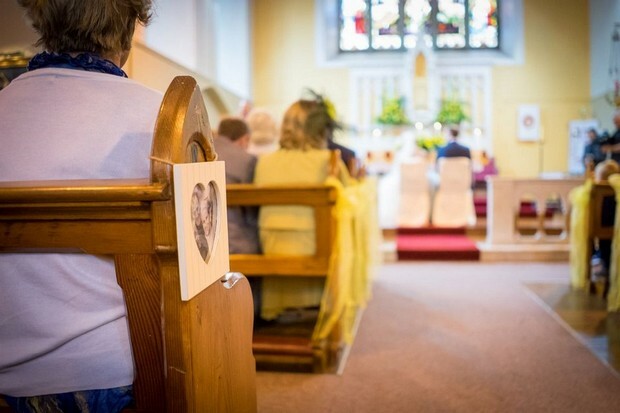 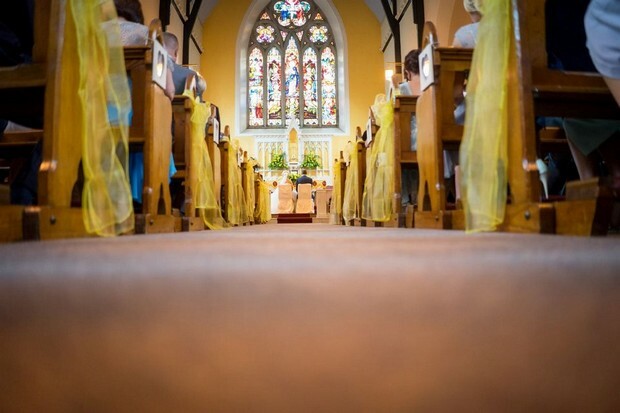 Our ceremony… was a lovely church ceremony in Crosschapel in Blessington. 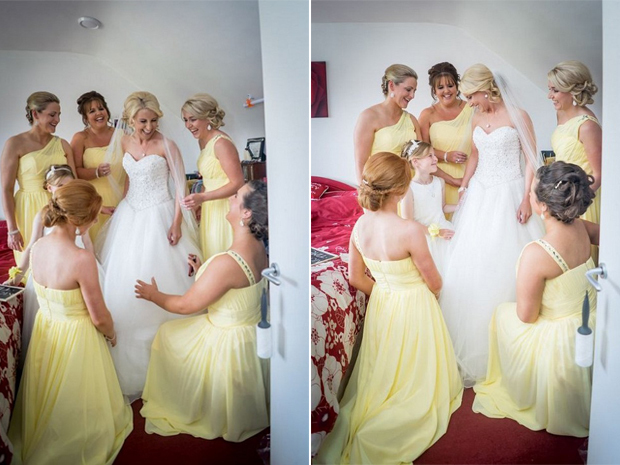 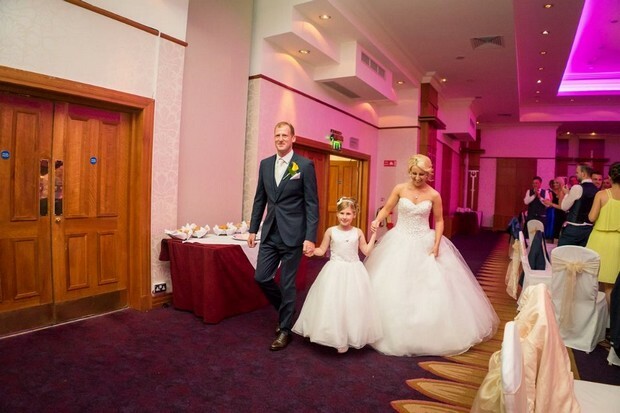 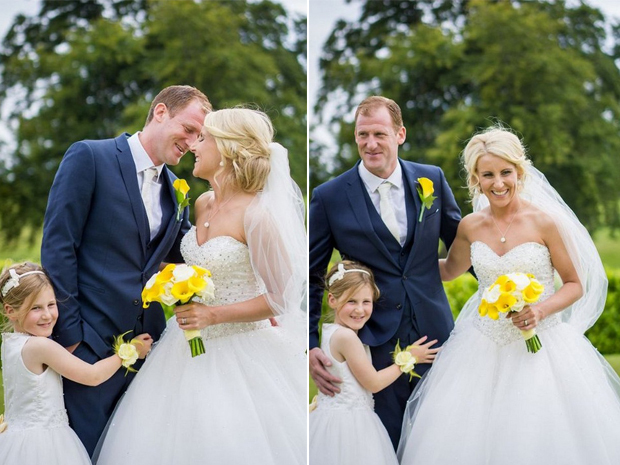 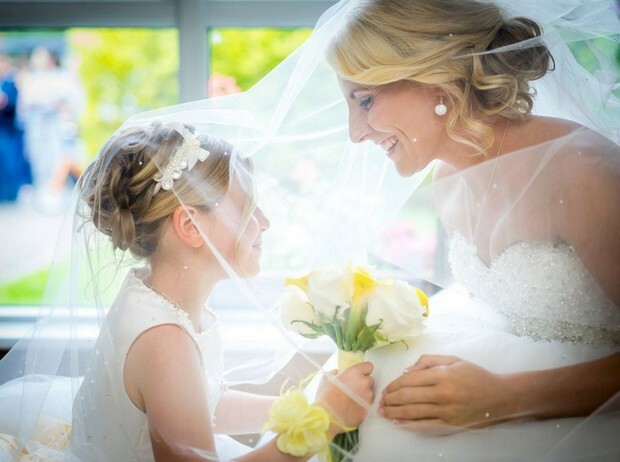 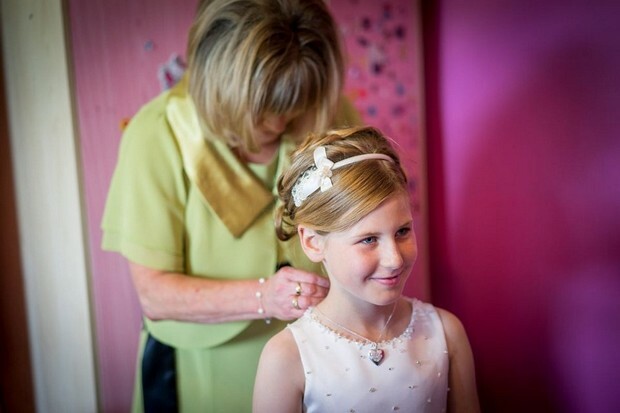 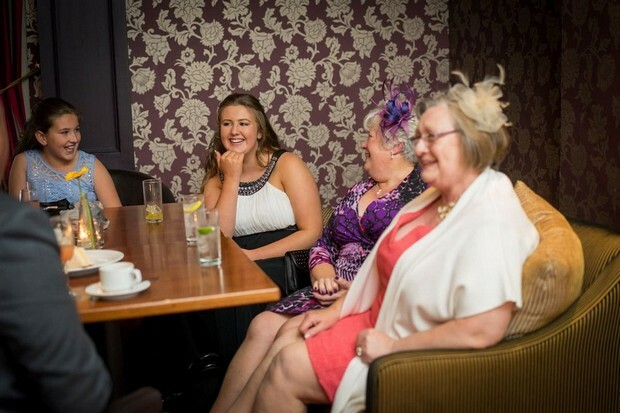 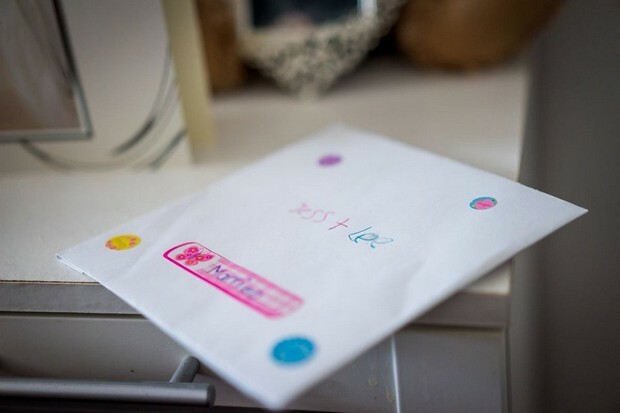 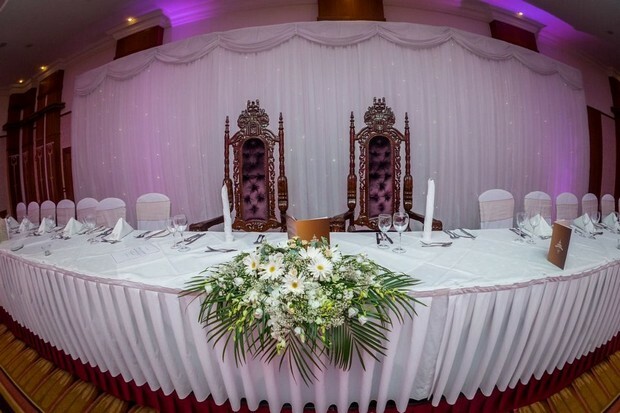 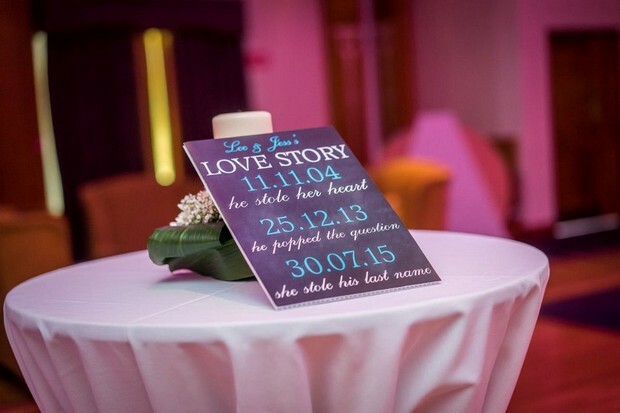 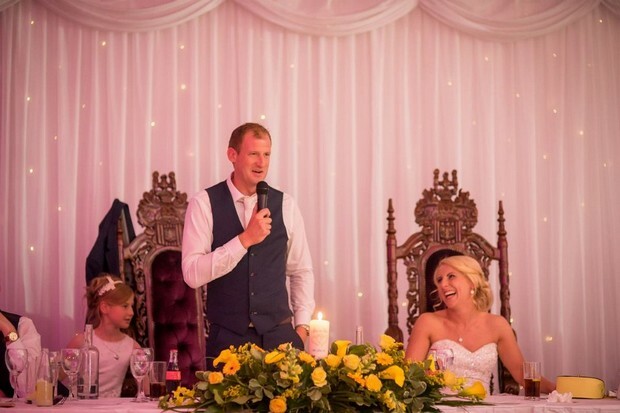 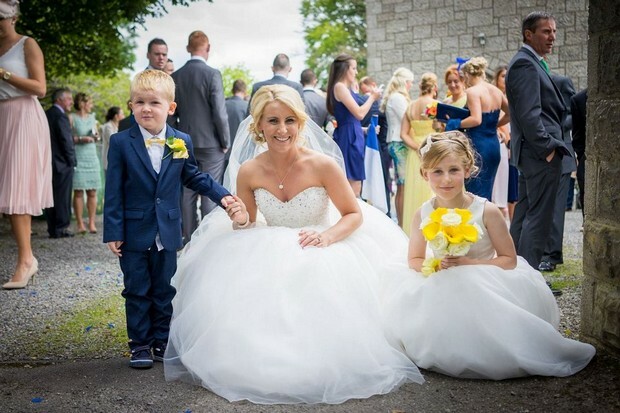 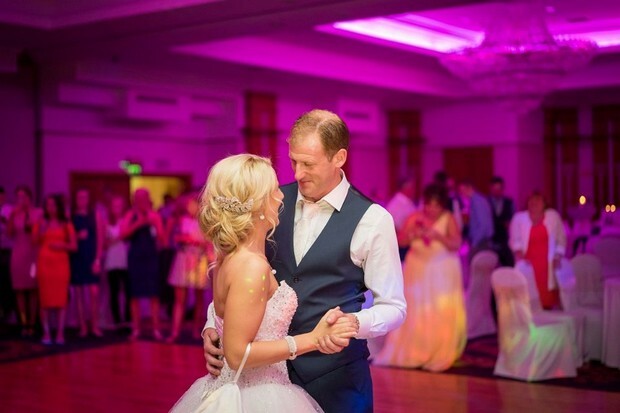 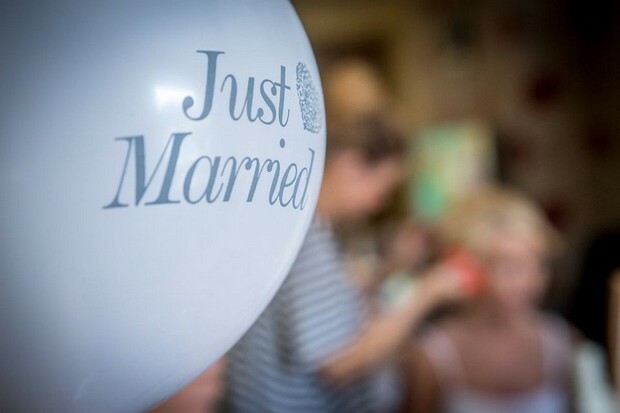 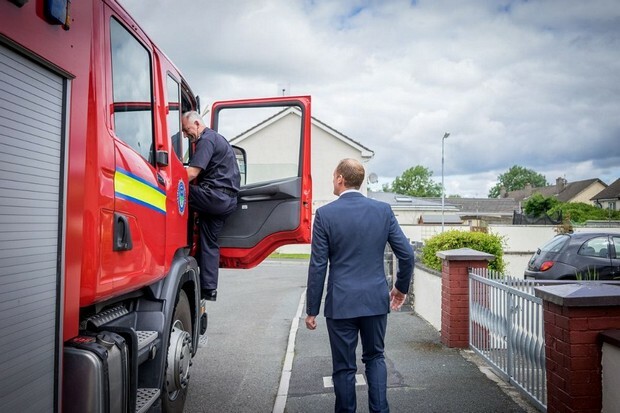 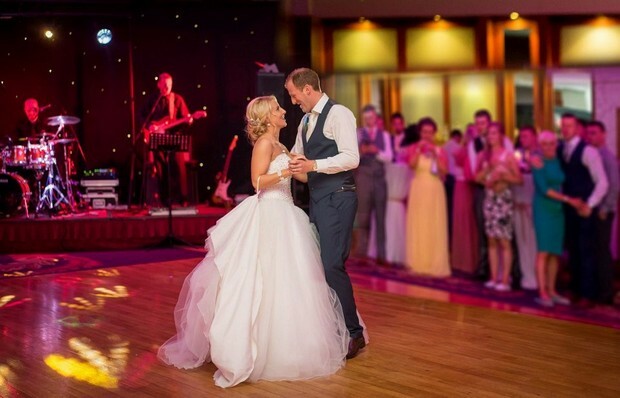 We chose our photographer because… M&M Photography are fantastic, they left no stone unturned and are so professional. 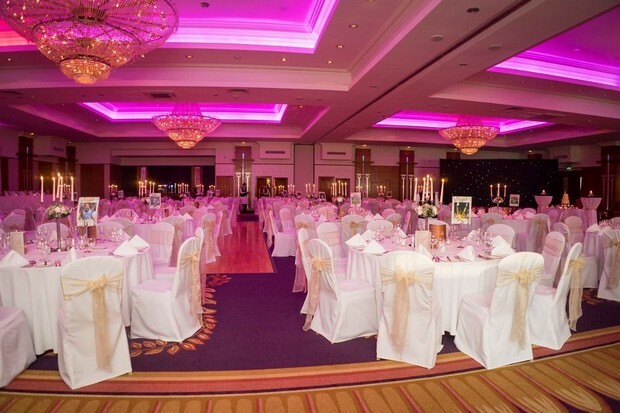 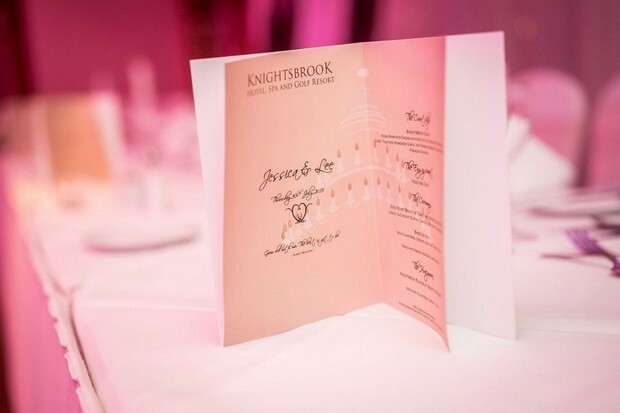 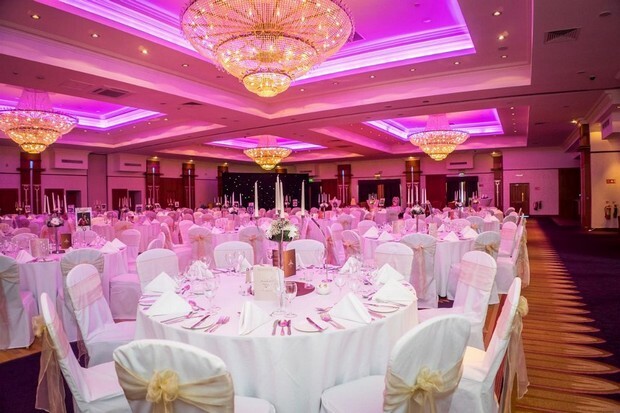 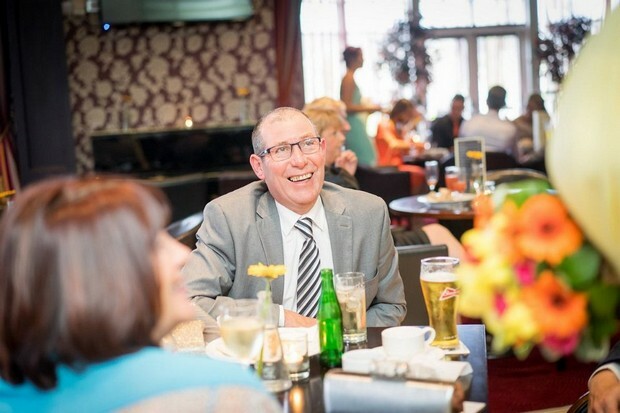 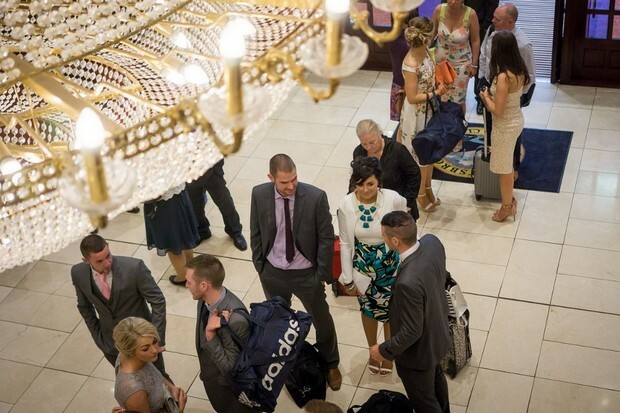 We chose The Knightsbrook Hotel & Spa because… we love it! 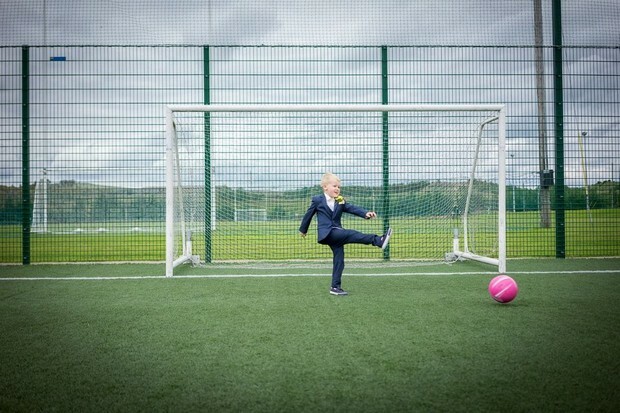 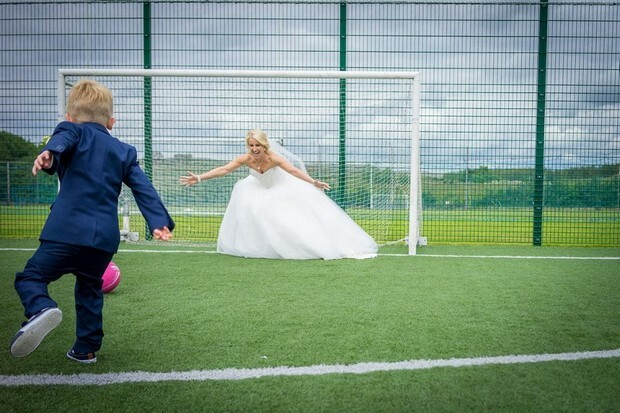 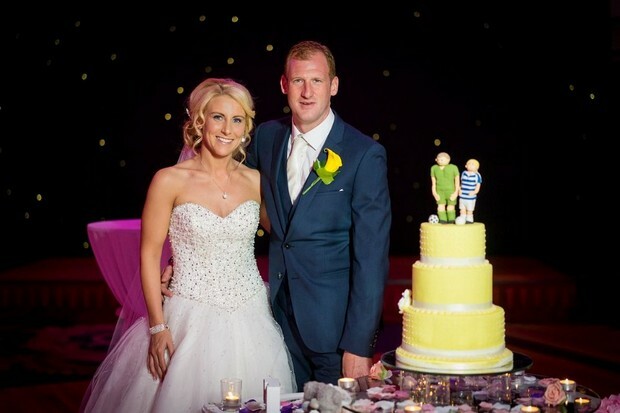 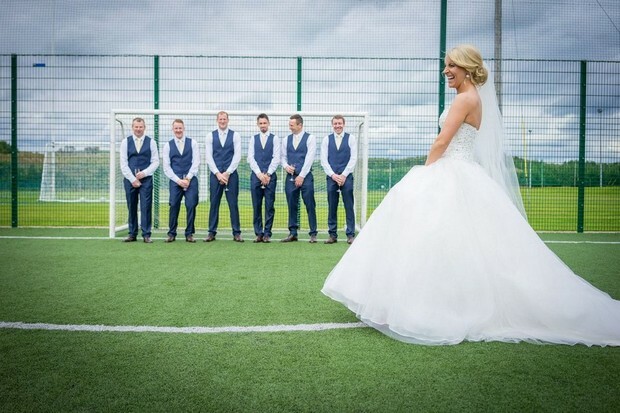 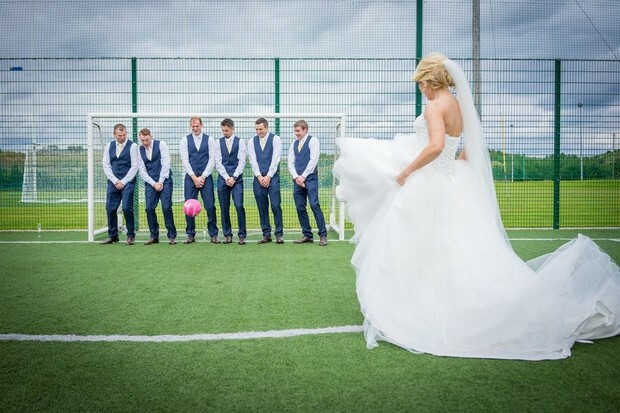 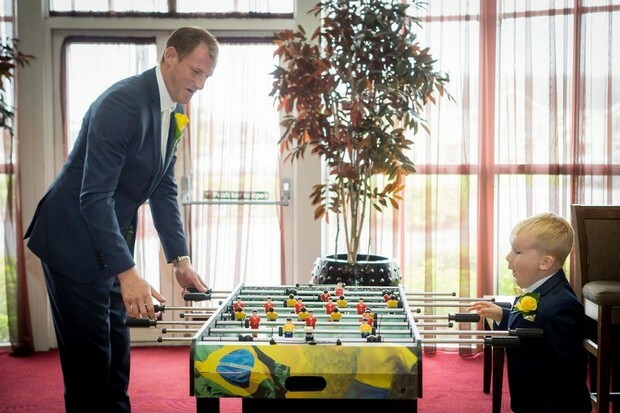 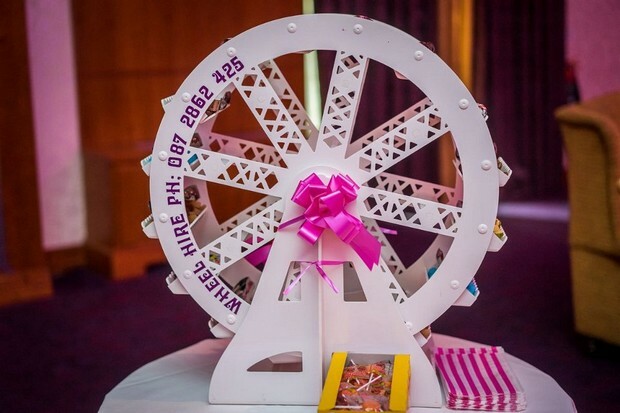 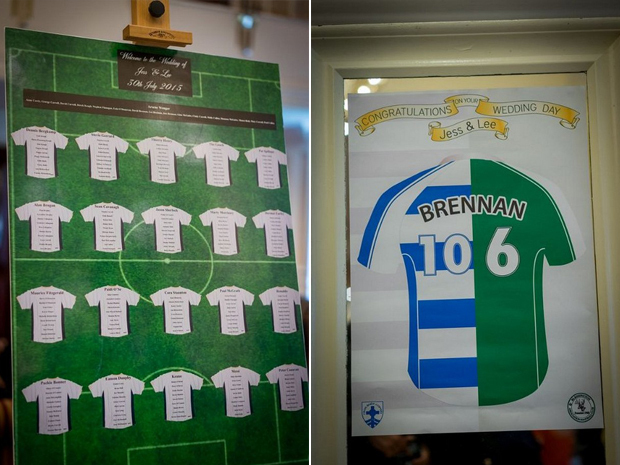 Our wedding theme/colours… we had a football theme – there’s a huge football involvement in the family! 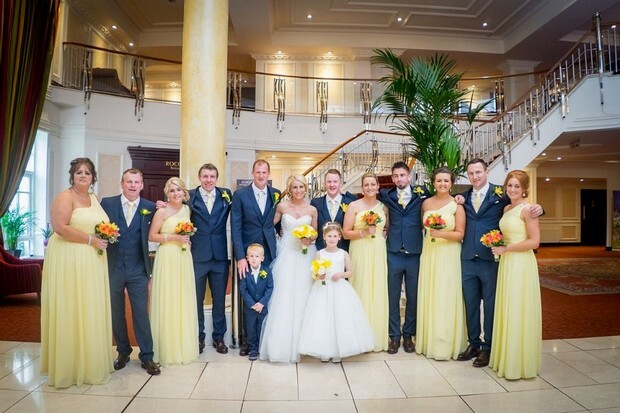 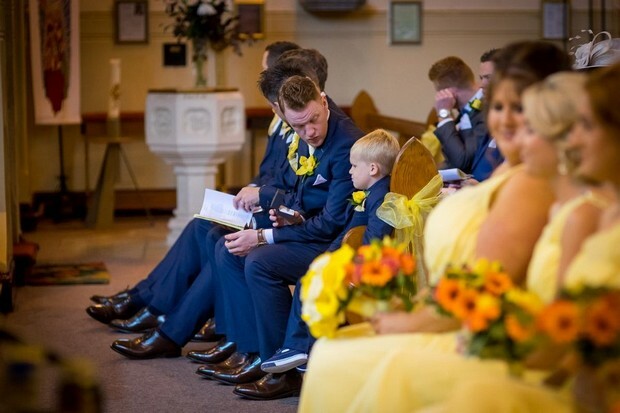 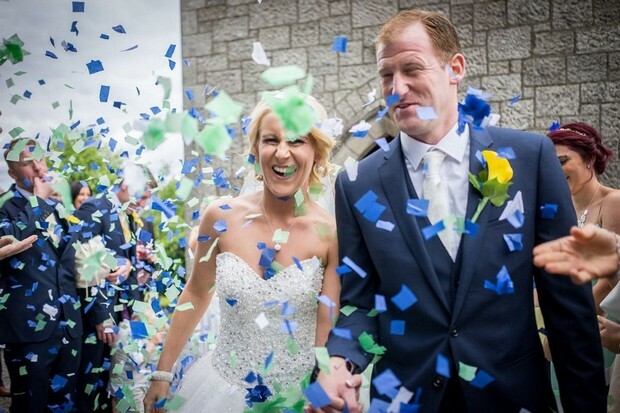 We had blue, green and white and the Bridal Party colours were yellow and navy. 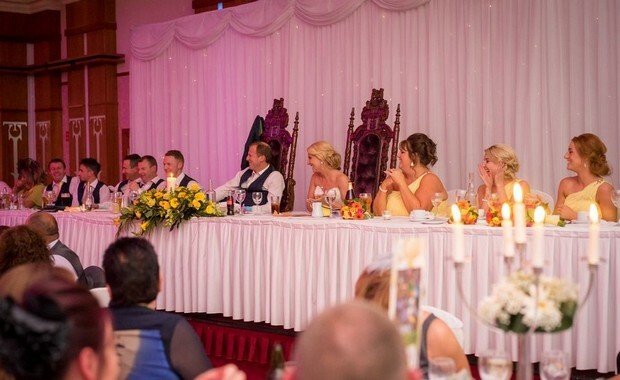 Our menu… was 5 courses of amazing food! 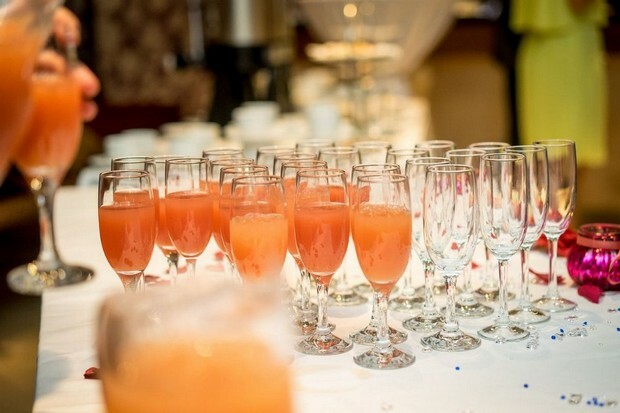 We had Caesar Salad, Soup, Turkey & Ham or Seabass and assorted desserts. 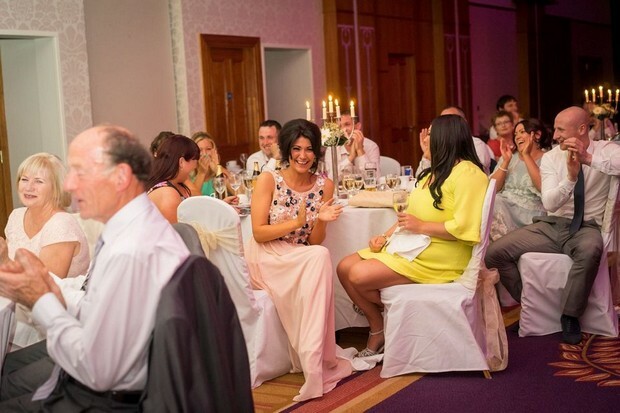 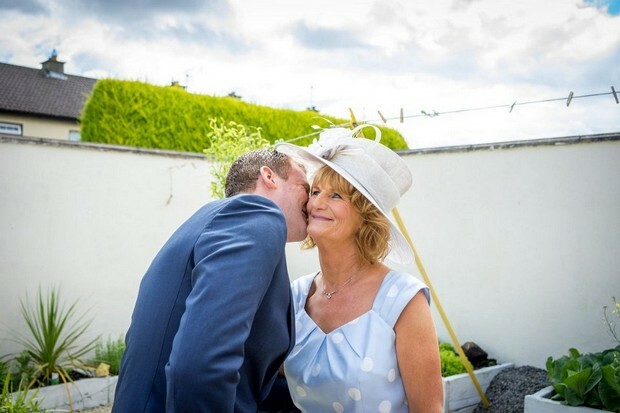 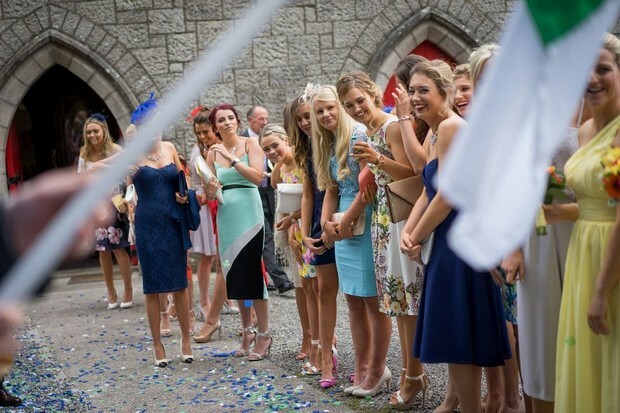 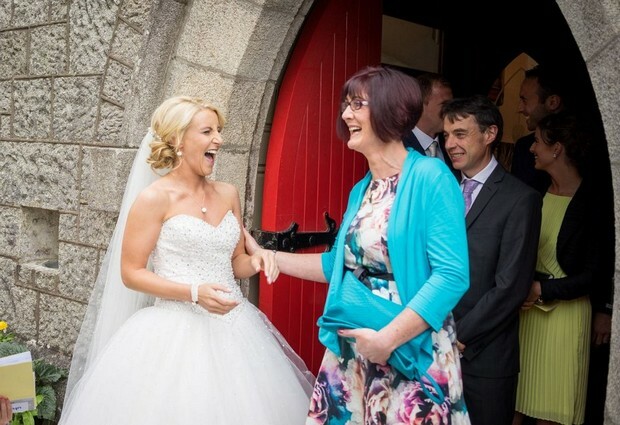 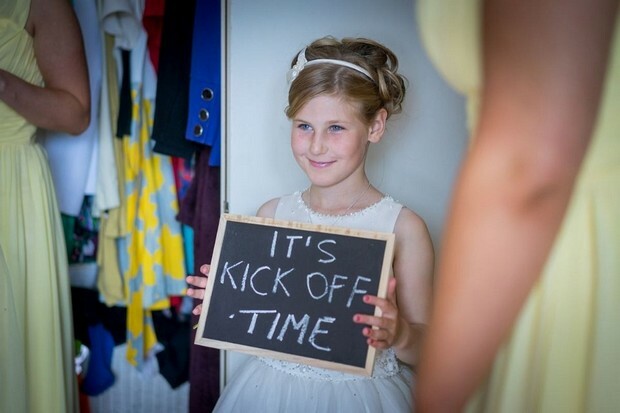 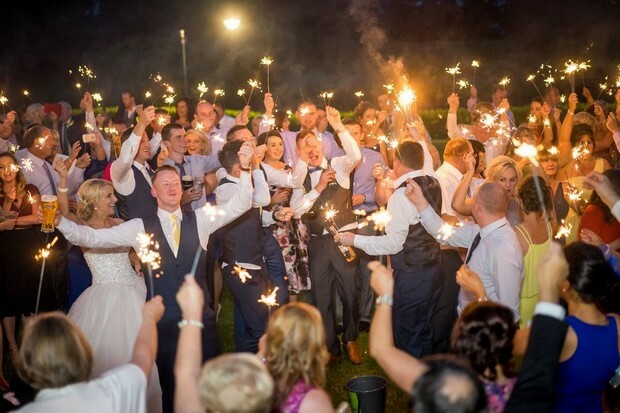 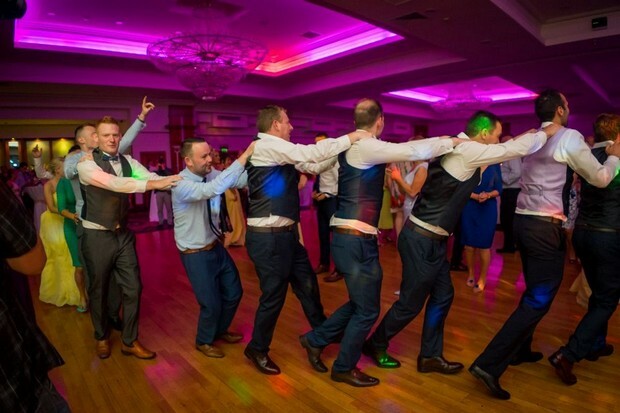 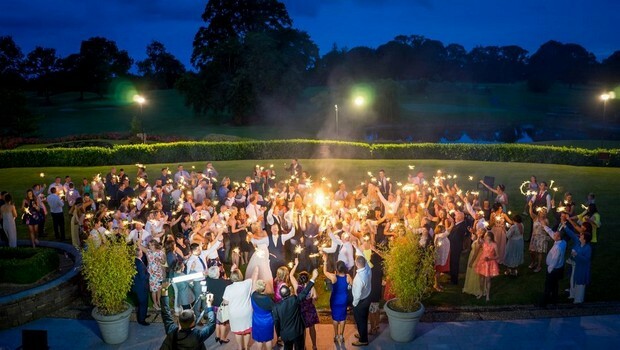 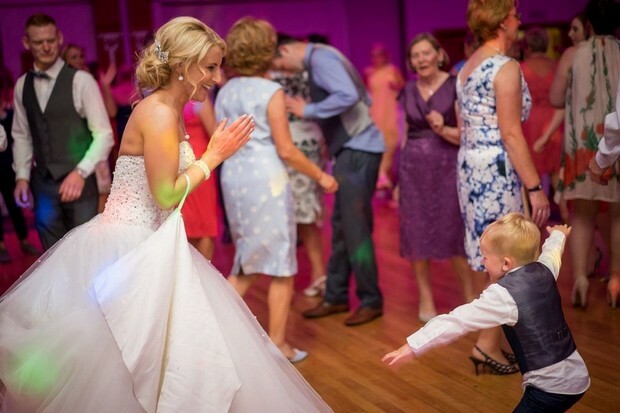 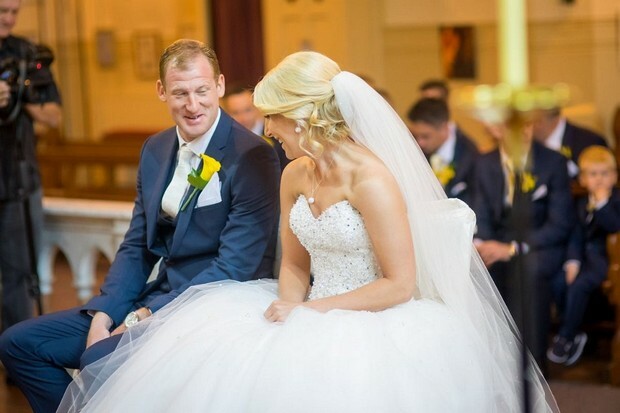 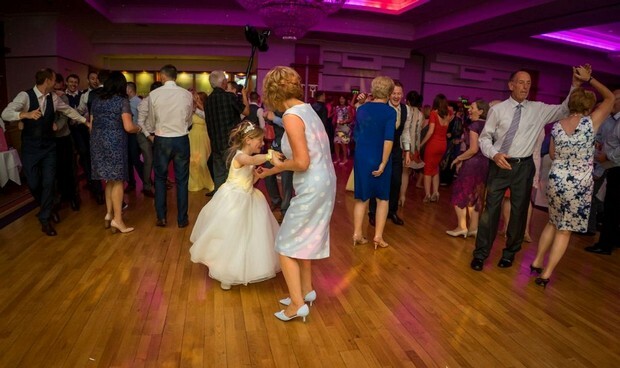 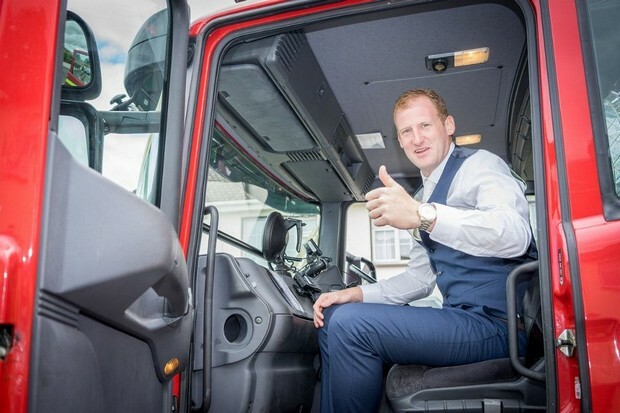 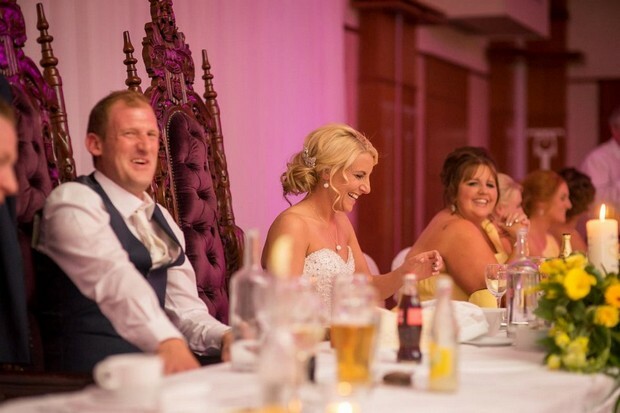 My favourite part of the wedding day… all of it! 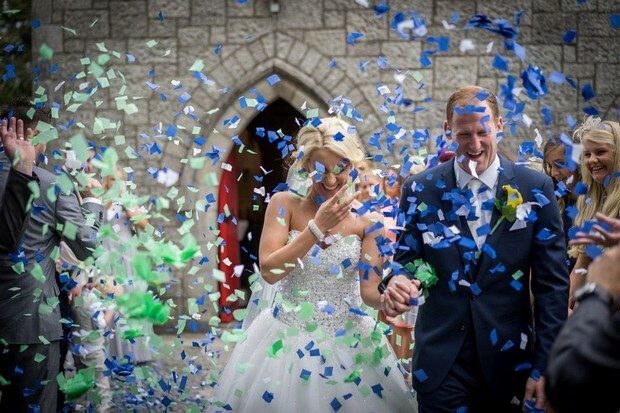 My piece of advice for other couples… enjoy every second, stay true to yourselves, it’s your big day not anyone else.